Total joint reconstruction (TJR) is a challenging surgery that tests the surgical team. A successful outcome depends on the surgeon who is prepared to anticipate complications and has the knowledge to manage problems when they arise. 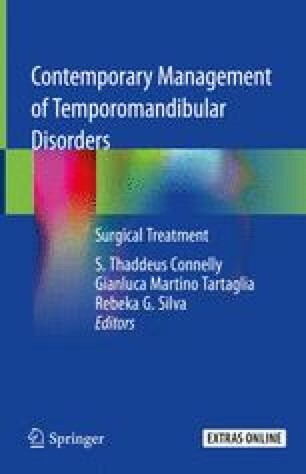 In this chapter, TMJ-specific complications are discussed, and strategies are recommended to diagnose and handle them. More importantly, emphasis is placed on prevention, so that surgery proceeds more smoothly. The information also helps the surgical team in the preoperative informed consent discussion with the patient. White paper: a new paradigm for the diagnosis of periprosthetic joint infection 2013. Revised March 10, 2014. https://citranolab.com/wp-content/uploads/Synovasure-White-Paper.pdf.